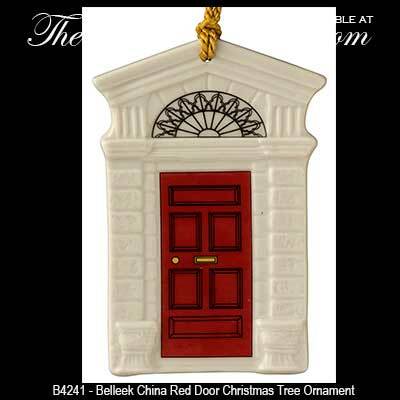 This Belleek door ornament was introduced in 2015 and it is the second in the series. 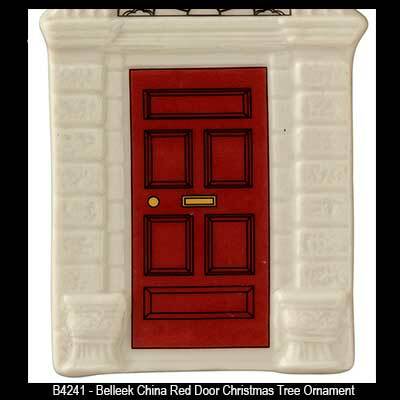 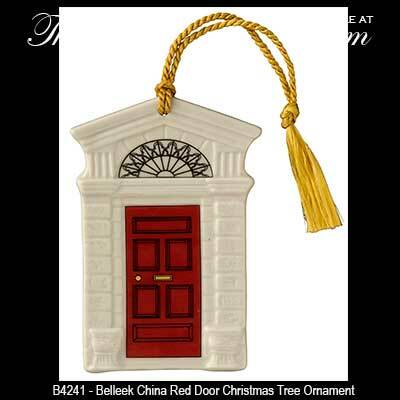 The red Georgian doorway Belleek ornament is crafted of fine china in a dimensional design. 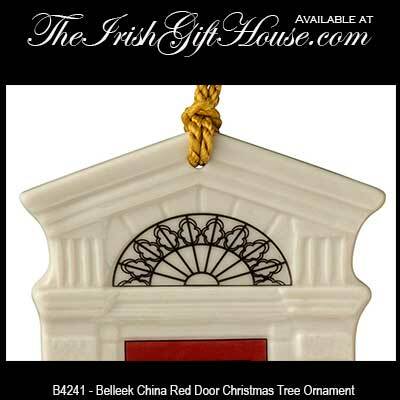 The Belleek door ornament features a hand painted shamrock on the reverse side and measures 1/4" thick x 2 1/4" wide x 3 1/2" tall; it is ready to hang on your Christmas tree with the included gold tassel.